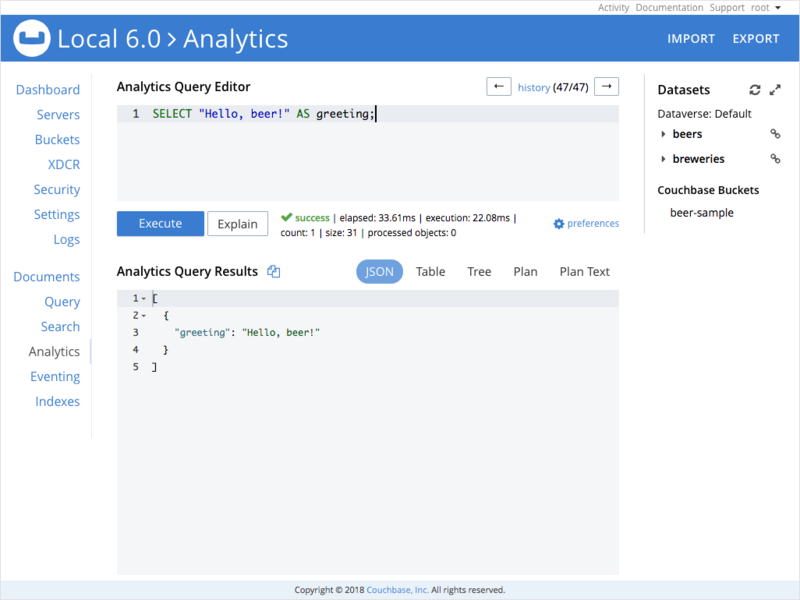 The insights sidebar to the right of the Analytics Workbench shows the Analytics dataverses and datasets, and the Couchbase buckets which are being shadowed. 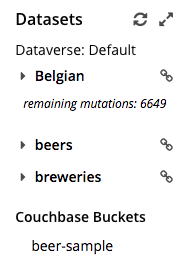 When data ingestion is in progress, an indicator to the right of each dataset shows the number of mutations that remain to be synchronized to that dataset. If the indicator is not displayed, then the dataset is up-to-date.